Are you a feline fanatic? 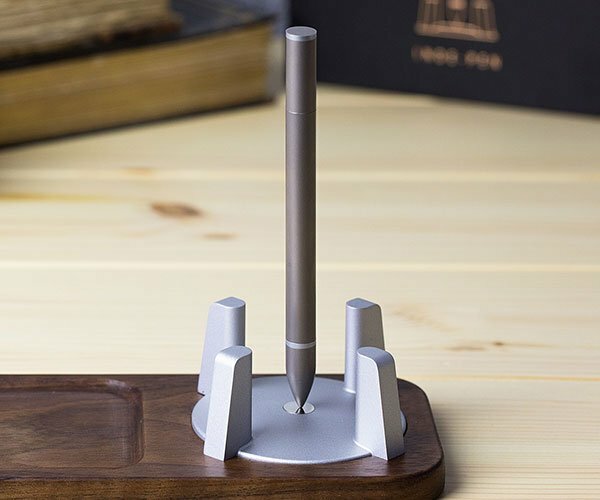 Here’s a fun way to keep all of your USB devices connected to your computer. 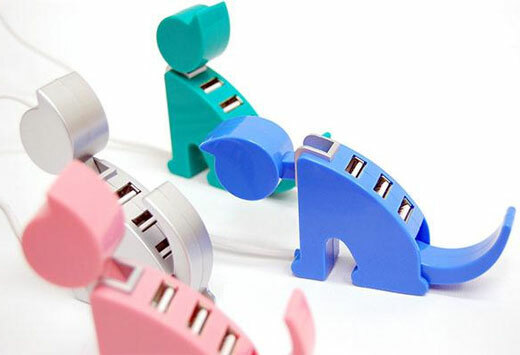 Perhaps Neko the USB hub cat ($19.50 USD) will tickle your (cat) fancy. 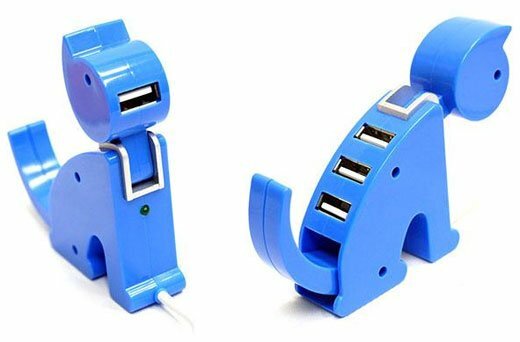 Just plug Neko into your computer’s USB port, and the little kitty provides 4 extra ports for connecting devices to your Windows, Mac or Linux PC. There’s three ports on his back, and another one in his mouse-hole. Now I don’t know about you guys, but I’ve never seen a blue, silver, pink or aqua colored cat in my lifetime. I guess I’ll just chock it up to artistic license. Or cats dipped in paint. While I think Neko is pretty cute in these pictures, I’m not sure how darling he’d look with a bunch of wires jabbed into his spine and mouth. I think it might look a bit like cat torture – or something out of a Trent Reznor video – but that’s just me. Maybe Neko would be better off just sitting on your desk without any devices connected. 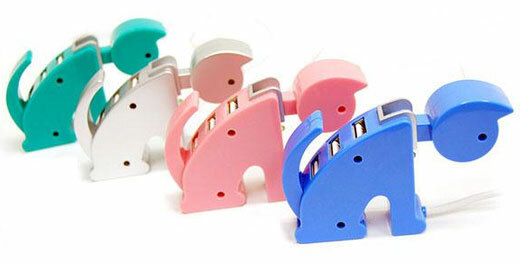 And remember, help control the desktop animal population – have your USB pet spayed or neutered.